Did you take your vitamins today? Do you even need them? A 3D Prezi Next presentation template for presenting about vitamins and drugs. Green and blue capsules with colorful 3D spheres flying on the background as topic circles. 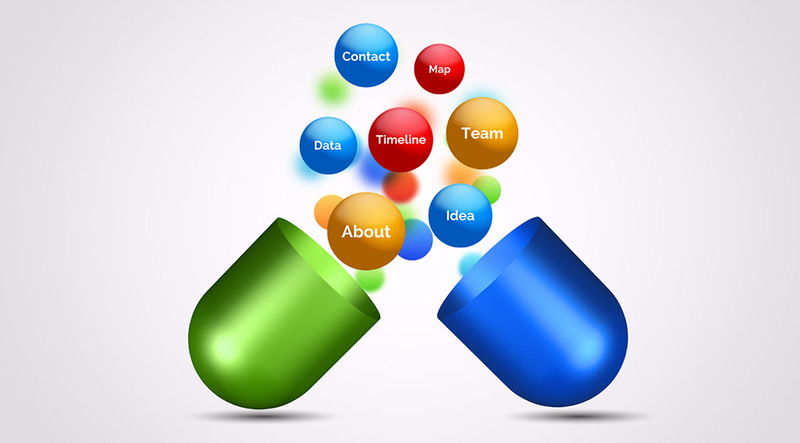 Make a medical and healthcare related Prezi Next presentation and talk about the food supplements we all need. 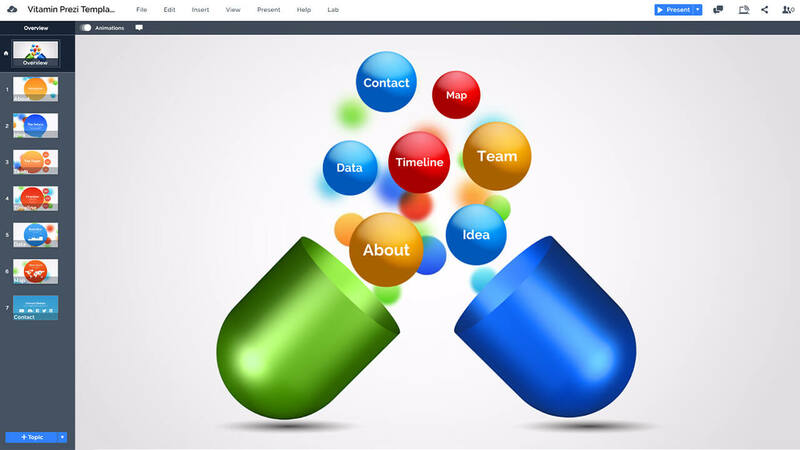 The template features green and blue capsules with colorful spheres flying out of them. Zoom into the spheres and make a colorful presentation related with food and dietary supplements. Rename the colorful spheres and add your own titles. Duplicate the colors you need to add more content placeholders and rearrange the layout by moving the spheres or resizing them. The overview slide also includes a lot empty space, so there’s room for your presentation title and subtitle. Have you had any L-ascorbic acid today? Some people just call it Vitamin C, but I like to call things by their real name  There isn’t a drug yet that can cure bad presentations, but using this creative template, can be a step in the right direction! This entry was posted in Best Prezi presentation templates, Prezi Next Templates and tagged capsules, drugs, healthcare, medical presentation, medical template, medicals, medicine, pills, prezi next template, prezi next templates, vitamin c powerpoint template, vitamin d powerpoint template, vitamin powerpoint template, vitamin powerpoint template free download, vitamin presentation templates, vitamins, vitamins powerpoint template free.